Enhance the ambiance and visual appeal of your outdoor space with professional landscape lighting. 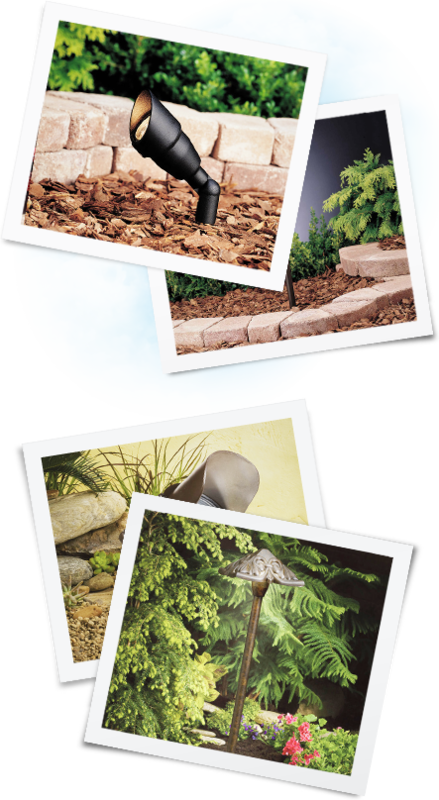 We are more than just a landscape lighting company! 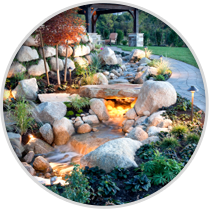 From landscape lighting, to misting systems, irrigation systems and more, our team will work with you to transform your outdoor living space and make your ideas and dreams become a reality. Pro Outdoor Services is a leading provider of residential landscape lighting installation and replacement in the Phoenix metro area. You can count on our trained technicians to properly install or replace your misting system for years or use. From HOAs to apartments, to commercial buildings and beyond, we understand the complexities of commercial properties. Our highly-trained team is ready to work with you on your landscape lighting installation or replacement. 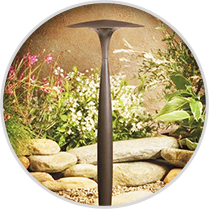 Phoenix landscape lighting specialists, Pro Outdoor Services, is proud to serve the Phoenix area as an experienced low voltage landscape lighting company offering complete repair, installation and replacement of outdoor lighting and landscaping systems. 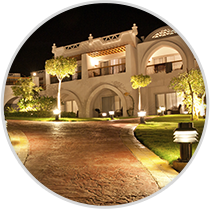 Whether you are looking to upgrade or expand your current system, install a new system, or are interested in a bright future with LED lighting, we can help you with all of your low voltage outdoor lighting needs. Our trained Phoenix landscape lighting technicians are knowledgeable with working on both incandescent and LED lighting systems, and use only the best quality materials including suppliers like Universal, WAC, Kichler, Focus, FX, Halco, and Alliance, assuring you a high-quality landscape lighting system that will last for many years. 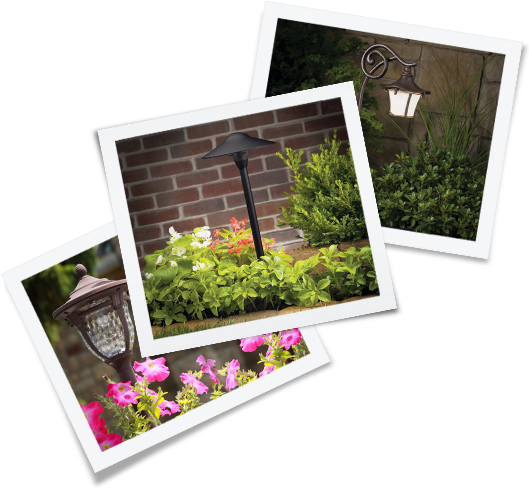 Landscape lighting is very versatile and can be used in any area of your outdoor space. Whether you are looking for entrance or driveway landscape lighting, patio lighting, water feature lighting or lighting for your plants or trees, our skilled technicians can recommend where lighting would look best for needs, and what types of fixtures and design would work best for your layout to achieve your desired results. If you already have a landscape lighting system and are needing repairs done to it, we can help! Our trained landscape lighting technicians can properly diagnosis your low voltage lighting system to access the wiring, transformer, timer, fixtures and bulbs to determine why it isn’t working properly. From there, our professionals will alert you to the issues with your system and the recommendations for properly fixing it. Already have a landscape lighting system in place and want it upgraded? We offer full-system replacement of fixtures, transformers, timers, and wiring, to keep your outdoor lighting system in pristine condition. Our highly-trained Phoenix landscape lighting technicians are experienced in landscape lighting system design and installation along with upgrades from incandescent to LED lighting for existing systems. With several Phoenix landscape lighting companies in operation, it can be hard to figure out which company to choose. Pro Outdoor Services is proud to be a long-standing contractor in the Valley that has designed, installed and repaired landscape lighting for several years. We are licensed, bonded and insured so that you can rest assure you are working with a professional and experienced company. Not only do we offer a free estimate for new installation or replacement systems, but we also offer a free product demonstration so you can see how the lights will look before you buy them. 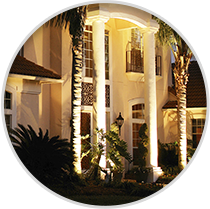 If you are in need of landscape lighting system installation or replacement in the Phoenix metro area, please contact us today for fast, reliable service and unmatched customer service. We are proud to offer Phoenix landscape lighting across the Valley in the following cities: Scottsdale, Paradise Valley, Cave Creek, Carefree, Fountain Hills, Gilbert, Mesa, Chandler, Tempe, Sun Lakes, Glendale, Peoria, Desert Hills, Anthem and Rio Verde. I LOVE the landscape lighting that Josh and his team installed in my backyard. I can’t believe the difference that just adding a few lights can make to the feel and look of the yard. Pro Landscape Lighting Services was great to work with, got the job completed on time and was very patient with answering all of my questions. I would recommend them to anyone! I can’t thank Pro Landscape Lighting Services enough for the great job they did. I had them install new LED lights as well as replace some of my existing lights with LED bulbs. It is amazing the difference it makes in how my house looks at night. I have been getting so many compliments from my neighbors! Call Pro Outdoor Services today for low voltage landscape lighting system installation and replacement in the Phoenix metro area! We provide service in the following cities: Carefree, Cave Creek, Fountain Hills, Paradise Valley, Central and Northeast Phoenix, Rio Verde, and Scottsdale, Tempe, Mesa, Chandler, Gilbert, Awatukee, Anthem, Glendale and Peoria.